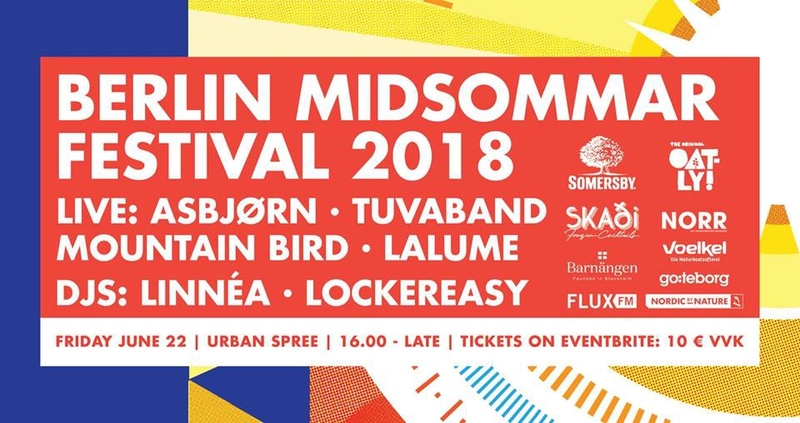 This year's Berlin Midsommar Festival will take place on Friday, June 22nd at Urban Spree. So come and celebrate the longest day with us! During the day we'll have tons of flowers for you to prepare our own midsommar wreath. From experience, try to be there as early as you can to grab enough for yourself. Of course, we'll dance the legendary Små Grodorna around the maypole and have fun games prepared! You can sweat it out in our Finnish sauna and then get your circulation going by taking a dip in our refreshing Midsommar pool! Don't forget to bring your own towels! From early evening until early morning, bands & DJs will perform on stage🏻. To satisfy your hunger and quench your thirst, a range of yummy salty and sweet food, drinks, and ice cream will be offered by local food trucks. *Children up until the age of 12 get in for free!